I can’t wait till everything goes wireless, since I am awful to my cords. They get stuffed into luggage or left to tangle in a drawer and now I have to pay the price, literally. Recently I lost a couple cords to my negligence and found out it’s gonna cost me $80 to replace my iPhone earbuds and another $35 to replace a charger cable. Time to invests in an ounce of prevention. 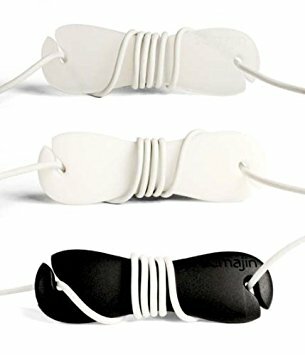 These are the best cord management systems (CMS) that I found or were recommended to me, in no particular order. 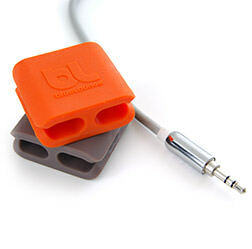 Blue Lounge makes a lot of really cool gadget helpers, one of which is the cable clip. This cord solution doesn’t add a lot a bulk, making it great for travel. Cooler still, the shape allows you to stack unused cords or line them up neatly in a drawer. Comes in 4 colours: light grey, dark grey orange and green. Small (25 x 26 x 11 mm): Ideal for thin cords such as earbud cords, small data cables and charger cords. Sold in packs of 6. Medium (39 x 36 x 16 mm): Ideal for USB & data cords, small power cords, audio cords and phone cables. Sold in packs of 4. Large (61 x 51 x 29 mm): Ideal for thick or long power cords and ethernet network cables. 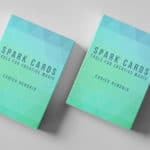 Sold in packs of 2. The Applecore is basically a spool for your cords, you can’t get more simple than that. This fun, simple design makes me think ‘playful minimalist’. 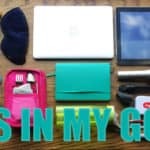 It comes in a bunch of colours and holds cords securely, very well designed. 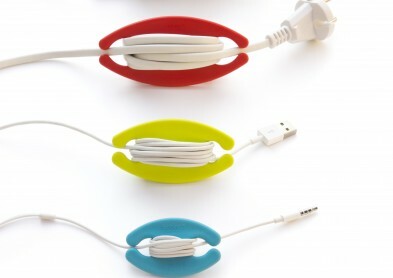 The Bobino cord wrap is designed by the same folks that did the ultra clever Driinn Phone Holder. 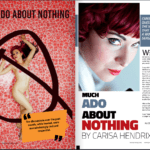 This CMS is tiny, thin, and simple to use. Six colours to choose from, all really nice. The soft silicone has a great feel in your hand, it’s durable, tiny and comes in a ton of colors. The cords snap in at each end for extra security so no worry about it unraveling in your bag. 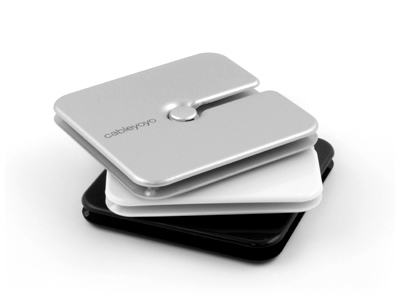 The Cableyoyo is shiny, super thin and a bit more high tech than the other systems. Two small inbuilt clasps hold the cord at the right length when you have finished coiling. 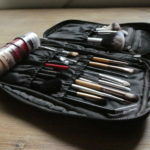 To unravel it, you squeeze in the center hole and just pull the end of the cord, brilliant and easy on the eyes.